In a report issued on Oct. 2, 2017, Treasury Secretary Steven Mnuchin recommended that the proposed Internal Revenue Code Section 2704 regulations be withdrawn. Those regs would have restricted the use of partnerships and other entities to generate valuation discounts. The Internal Revenue Service had released a proposal in August 2016 in an attempt to limit what it perceived as an erosion of the applicability of Section 2704 and the creation of artificial valuation discounts. A hearing was held on on Dec. 1, 2016. Almost 30,000 formal comments were submitted to the Treasury. In 1998, the IRS issued a series of TAMs that outlined several fact patterns the Service believed were suspect. They then began attacking various FLP structures, winning a fair number of cases. But at some point, enough case law developed to show practitioners what not to do. Once jurisprudence weeded out the bad patterns, FLP discounts continued anew. Last year, the Treasury issued revised valuation rules, essentially gutting FLPs. But now it appears the Treasury is reversing its stance. But before moving forward, I’d wait until we see the new regulations published. The Service made certain conservation easements a listed transaction in Notice 2017-10. In BC Ranch II, LP v. Commissioner, the Fifth Circuit recently reversed the Tax Court in holding that a taxpayer qualified for a charitable contribution deduction for the donation of a conservation easement. The main issue involved whether the easement in question violated the in perpetuity requirement of §170(h)(2)(C). In BC Ranch, two limited partnerships donated one conservation easement each to a qualified donee and, subsequently, sold limited partnership interests. Each limited partnership interest entitled the limited partner to one five-acre homesite parcel. Pursuant to the deed of easement, the property covered by the easements could be amended, but only to the limited extent needed to modify the boundaries of the five-acre homesite parcels. Further, any modification could only be done within the ranch property subject to the easement. The modification provision also prohibited any amendment that would increase any homesite parcel above five acres. For any such a modification to occur, the donor, the donee, and the owner of the homesite parcel in question would have to agree and the modification would be permitted only if the boundary line modification did not, in the donee’s reasonable judgment, directly or indirectly result in any material adverse effect on any of the conservation purposes. author landing page for the newly revised and updated Estate Planning Guide coming soon! Thanks in part to a grant from the Internal Revenue Service, Texas A&M University School of Law will soon open the doors of its newest clinic, focused on serving low income taxpayers. The grant is part of the Low Income Taxpayer Clinics (LITC) program, administered by the Office of the Taxpayer Advocate at the IRS to make the services of these clinics more widely available, particularly in underserved areas. Under the interim direction of Jack Manhire, Director of Program Development and Senior Lecturer at Aggie Law, the Tax Clinic will provide legal counsel as defined by the LITC program criteria. Services will focus primarily on tax disputes and are available to those who qualify as low income taxpayers. The clinic also gives Texas A&M law students an opportunity to work directly on federal tax controversy cases by receiving provisional admission to represent taxpayers before the IRS. The law school is currently seeking qualified professionals to permanently fill the leadership positions at the clinic, which will be one of nine clinics offered through the law school. The clinic, Aggie Law’s ninth, will be located in the Star-Telegram building in Downtown Fort Worth. Texas A&M University School of Law announces the launch of its revolutionary online graduate curricula in Wealth Management — developed as an important part of the public university’s mission. Delivered completely online, the Wealth Management curricula is built around the needs of wealth advisory professionals to become versed in the legal and planning aspects of financial analysis, high net wealth taxation, portfolio management, family office, charitable planning, retirement and executive compensation, securities and market regulation, and insurance/annuities. Lawyers and non-lawyers alike will take a deep dive into the intricacies of managing wealth and its associated risks, critical in a rapidly evolving workplace climate. “Very few law graduates that my company interviews studied advanced planning and thus can’t sit down with clients to address these tax and financial advisory questions,” added Robert Bloink, an attorney who has advised on over two billion dollars of insurance premium. “For complex modern families with multiple marriages and various children, a properly educated wealth manager knows the questions to ask, then how to research and analyze the legal and financial issues associated with non-probate assets”, interjected Dr. George Mentz of the American Academy of Financial Management which is mentioned as an industry professional association for financial analysts on the Department of Labor website. Texas A&M University School of Law announces the launch of its revolutionary online graduate curricula in Risk Management — both developed as an important part of the public university’s mission. Delivered completely online, the Risk Management curricula meets the increasing need of professionals to be versed in the legal aspects of financial transactions, risk, anti money laundering, FCPA, terrorist financing prevention, OFAC, and compliance management. Lawyers and non-lawyers alike will take a deep dive into the intricacies of managing risk, critical in the rapidly evolving global financial climate. Texas A&M University School of Law announces the launch of its revolutionary online graduate curricula in Wealth Management and Risk Management — both developed as an important part of the public university’s mission of training practice – readying professionals and preparing them for career success. Delivered completely online, these curricula meet the increasing need of professionals to be versed in the legal aspects of financial transactions, financial literacy, risk, and compliance management. Lawyers and non-lawyers alike will take a deep dive into the intricacies of managing wealth or risk, critical in a rapidly evolving workplace climate. “Our ultimate goal is to enable professional and graduate students to completely confront the complexities of modern wealth management and risk management, and to propel them for successful careers as well as for independent, lifelong learning,” explains Executive Professor and Associate Dean William Byrnes, who helped conceptualize both curricula and will teach several courses. Courses are taught asynchronously online. Enrolled students log in and participate in course lectures and assignments on their own schedule, which provides flexibility for those with competing professional and personal obligations. Byrnes emphasizes that the asynchronous format is “Not like binge-watching TV.” Instead, assignments are conducted on a weekly basis, and students participate via discussion questions, online assessments, group project work, and interactions with professors during virtual office hours. The caliber and quality of the instructors is another differentiator. Some of the most well-known experts in the field, such asBruce Zagaris, George Mentz, and Robert Bloink, join with law professors, business leaders, and leading practitioners to deliver the content. “We are excited by the opportunity to provide 21st century practical training to those who otherwise may not attend a top-tiered law school,” explains Dr. Chris Odionu, Program Director, Office of Distance Education Programs. Both Wealth and Risk curricula are recruiting and accepting applications for its first cohort of students for the Spring 2017 semester. To learn more about wealth management, visit www.law.tamu.edu/wealth. To learn more about risk management, visit www.law.tamu.edu/risk. This program is pending approval by the Southern Association of Colleges and Schools Commission on Colleges. 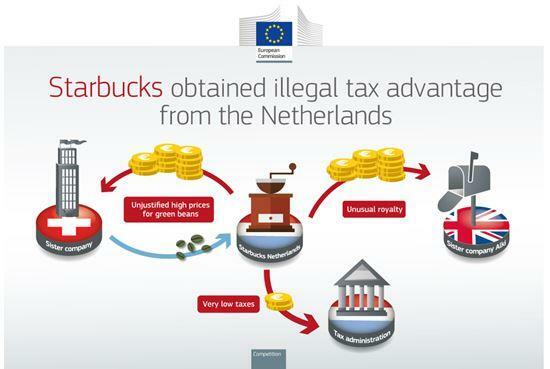 The LexisNexis online tax research platform, Lexis Advance Tax (“L.A. Tax”), available to law school faculty and students, includes a rich, comprehensive package of over 1400 sources, including tax news, primary law, journals, and nearly 300 treatises, practice guides and forms products for federal tax, international tax, estates practice and SALT. The L.A. Tax platform contains three subpages devoted to federal tax, SALT and U.S. International tax. Advisors will discover a rich selection of Lexis titles examining hot, cutting-edge issues: Practical Guide to U.S. Transfer Pricing; Lexis Guide to FATCA Compliance; Money Laundering Compliance; Taxation of Intellectual Property and Technology; Taxation of Oil & Gas Transactions; and Foreign Tax & Trade Briefs, which provides summaries of the tax laws and systems of over 120 countries. The L.A. Tax package also includes all products from Tax Analysts, Inc., the VA-based tax news organization that publishes such dailies as Tax Notes Today, State Tax Today and Worldwide Tax Daily – all three considered “must reads” by serious tax advisors. Tax Analysts also publishes three companion weekly journals tied to the dailies. Looking for Lexis Advance Tax? : Sign in at www.lexisadvance.com and look for the scroll-down menu called “Lexis Advance Research” in the upper left-hand corner. Click on the down arrow and select Lexis Advance Tax. Vote for Financial Law Prof Blog for ABA Blogger’s Top 100! The ABA is collecting votes this week for its annual list of the 100 best legal blogs, and you can vote! Use the link above or below to submit to the ABA about Financial Law Prof blog. If there is more than one blog you want to support, feel free to send the ABA several submissions. The ABA may include some of the best comments in the Blawg 100 coverage for 2016. Friend-of-the-blawg submissions are due no later than 11:59 p.m. CT on Aug. 7, 2016. This chapter from Practical Guide to U.S. Transfer Pricing, available from SSRN here, compares the U.S. Section 482 transfer pricing regulations to the OECD Transfer Pricing Guidelines for Multinational Enterprises and Tax Administrations as revised in 2010. 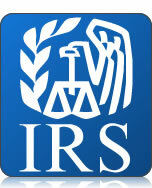 Section 482’s purpose is to ensure that taxpayers subject to U.S. taxation “clearly reflect income” related to transactions with other organizations that are under common ownership or control with the taxpayer, and “to prevent the avoidance of taxes with respect to such transactions.” The desired result is “tax parity” between the “controlled taxpayer” and an “uncontrolled taxpayer,” and, thereby, to determine the “true taxable income” of the controlled taxpayer. Similarly, the 2010 Guidelines state that the arm’s length standard which flows from recognizing the separate entity status of related entities in different jurisdictions has the dual objective of securing an appropriate tax base in each jurisdiction and avoiding double taxation. Since many U.S. trading partners follow the OECD Guidelines (and to a certain extent the United States also does) similarities and differences between the OECD Guidelines and the U.S. regulations are important. 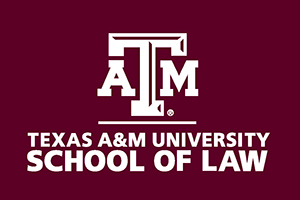 Texas A&M University School of Law is pleased to announce a partnership with the BARBRI Group that provides all incoming first-year Aggie law students the post-graduation BARBRI Bar Review course, as well as BARBRI law school materials, bar prep apps and programs while in law school. This partnership announcement comes on the heels of Texas A&M University announcing a 15.39% reduction in the public law school’s tuition, that a student’s tuition rate will remain locked-in for the three-year education, and that the university has increased the scholarship awards budget by 65% to attract the brightest candidates. At Texas A&M Law, our commitment to student success starts with building a strong foundation of knowledge from the beginning of the law school experience. While law school is of course about much more than just passing the bar exam, to become the exceptional Aggie lawyers we prepare our students to be, they must first pass the bar exam. Deciding Whether to Itemize Deductions or Use the Standard Deduction? Special rules and limits apply to each type of itemized expense which may lead to less of a tax deduction than the actual expense. Tax Facts on Employee Benefits provides current in-depth coverage of important client-related employee benefits questions. Employee benefits affect most everyone , and your clients must know how to deal with often complex issues and problems. Tax Facts on Employee Benefits provides the answers in a direct, concise, and practical manner. All income is taxable unless a law specifically says it isn’t. Here are some basic rules you should know to help you file the 2015 – 1040 tax return due April 15, 2016. Can Employers Obtain Tax Advantages Complying with Obama Care? It has been several years since President Obama pushed the Patient Protection and Affordable Care Act of 2010 (the “ACA”), which is a health care overhaul aimed at providing millions of American with health insurance, through Congress. Read the article here. According to the White House, the goal of the ACA is to improve health security by: (1) creating comprehensive health insurance reform that provides more ways to hold insurance companies accountable, (2) lowering health care costs, (3) guaranteeing more health care options, and (4) enhancing the overall quality of the American health care system. As many American, corporations and small businesses are aware, the gateway to an improved healthcare system commenced October 1, 2013 with the implementation of the exchange system. However, some may not be aware of the potential tax benefits awaiting employers. This highlight will specifically address the tax incentives that are available to both large and small businesses. Read the Mertens Highlight here. Which University May Be The 3rd (since 1986) to Default on Its Debts? University of Puerto Rico likely headed toward first credit default: S&P – Read the full story at Reuters. Which University Paid Over $95 Million for Deceptive Practices & “Betrayal of Students’ Trust”? We have come together to discuss a historic step forward in our collective and ongoing fight against fraudulent and abusive practices in the for-profit education industry. Today, we are announcing a landmark settlement with Education Management Corp., which became the second-largest for-profit education company in the United States. Education Management Corp., also known as EDMC, operates chains of schools around the country under the brand names Argosy University, the Art Institutes, Brown-Mackie College and South University. EDMC enrolls more than 100,000 students and approximately 90 percent of EDMC’s revenue comes from taxpayers in the form of federal education funding for EDMC students. This case not only highlights the abuses in EDMC’s recruitment system; it also highlights the brave actions of EDMC employees who refused to go along with the institution’s deceptive practices. Beginning in 2007, two EDMC employees blew the whistle on EDMC by alleging that it was running a high-pressure recruitment mill. Essentially, the more students a recruiter induced to enroll, the more money that recruiter would receive. These employees alleged that EDMC’s recruitment practices violated the Incentive Compensation Ban of Title IV of the Higher Education Act, which prohibits schools from basing recruiters’ pay on their success in securing new enrollees. That ban is in place so that schools will account for the unique qualities and needs of potential students, rather than simply treating them as a vehicle for tapping into federal student aid funds. Despite their alleged conduct, EDMC has certified its compliance with the ban to the Department of Education for over a decade. Falsely claiming federal grant and loan money is a violation of the False Claims Act – and in 2011, the United States intervened in the case alongside five individual states: California, Florida, Illinois, Indiana and Minnesota. Since that time, we have aggressively pursued justice in this case on behalf of the students and taxpayers that the Incentive Compensation Ban is designed to protect. Under the settlement we are announcing today, EDMC has agreed to pay $95.5 million to resolve claims that it falsely obtained federal and state education funds – making this the largest False Claims Act settlement with a for-profit educational institution in American history. The unprecedented size of the payment – and the stringent compliance measures EDMC has accepted – reflect the fact that this kind of abuse hurts not only taxpayers, but also the students – many of them non-traditional learners like veterans, older individuals and working parents – who trusted EDMC to provide an education that would address their individual needs. EDMC’s actions were not only a betrayal of their students’ trust; they were a violation of federal law. This resolution exemplifies the Justice Department’s deep commitment to protecting precious public resources; to promoting compliance with the law; and to standing up for those who are vulnerable to exploitation. It is an extraordinary accomplishment both for the men and women who fought to achieve it and for future EDMC students – and students at educational institutions across the country – who will no longer be victimized by unacceptable recruitment practices. In the days ahead, we will continue working with our invaluable partners at the Department of Education – through initiatives like the inter-agency task force on for-profit education – to ensure that our nation’s aspiring learners are finding and gaining access to educational opportunities that are right for them and that will help them thrive and achieve for many years to come. Old age and survivors, disabled workers and SSI recipients — will not see a COLA increase in benefits next year for the third time since 2009. But Social Security beneficiaries with higher incomes will see increases in their premiums for Medicare Part B, which pays for physicians’ bills, outpatient care, durable medical devices and other goods and services. James J. Green explains the impact of the Medicare Part B premium cost increases for Seniors on ThinkAdvisor and the lack of increase of social security benefits. 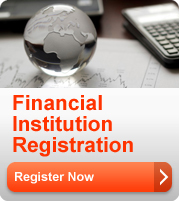 Why are Financial Institution Legal Entity Identifiers (LEIs)? 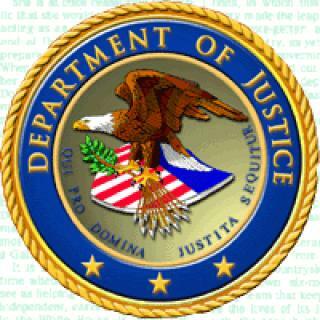 twice that of FATCA GIINs? The LEI was established by the G-20 through the Financial Stability Board (FSB), the 2009 successor of the Financial Stability Forum (FSF). Regulators globally recognized the lack of transparency to identify parties to transactions across markets, products, and regions. G-20 authorities, through the FSB, working with the private sector, developed the framework of a Global LEI System (GLEIS) that, through the issuance of unique LEIs, unambiguously identify entities engaged in financial transactions. Why are so many LEIs issued and so few GIINs – same institutions, just not seeking a FATCA GIIN? (3) the deadline for a sponsoring entity to register its sponsored entities and redocument such entities with withholding agents. In addition, in order to reduce compliance burdens on withholding agents that hold collateral as a secured party, this notice announces that Treasury and the IRS intend to amend the regulations under chapter 4 to modify the rules for grandfathered obligations with respect to collateral. Finally, this notice also provides information on the exchange of information by Model 1 IGA jurisdictions with respect to 2014.